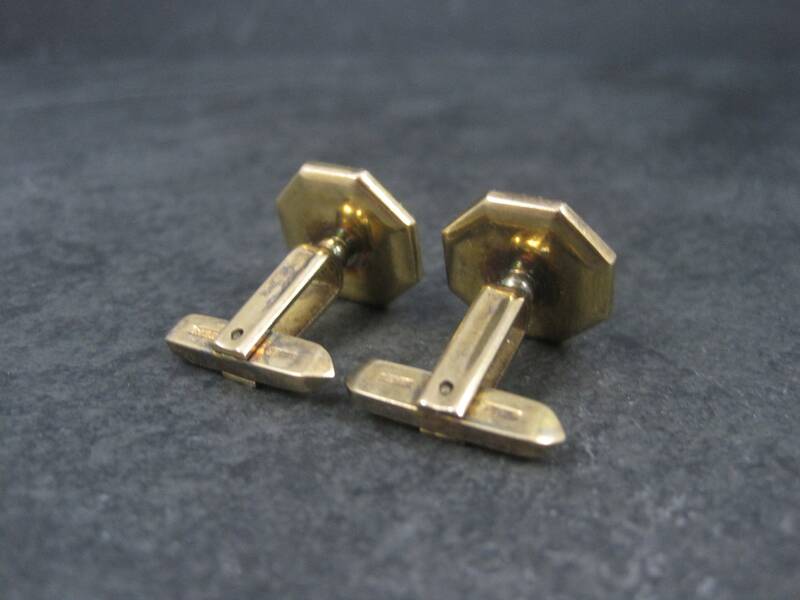 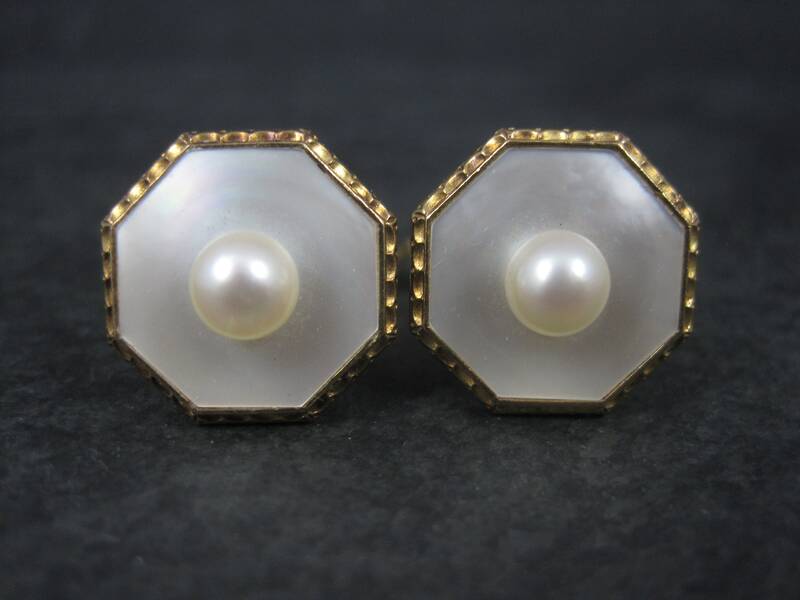 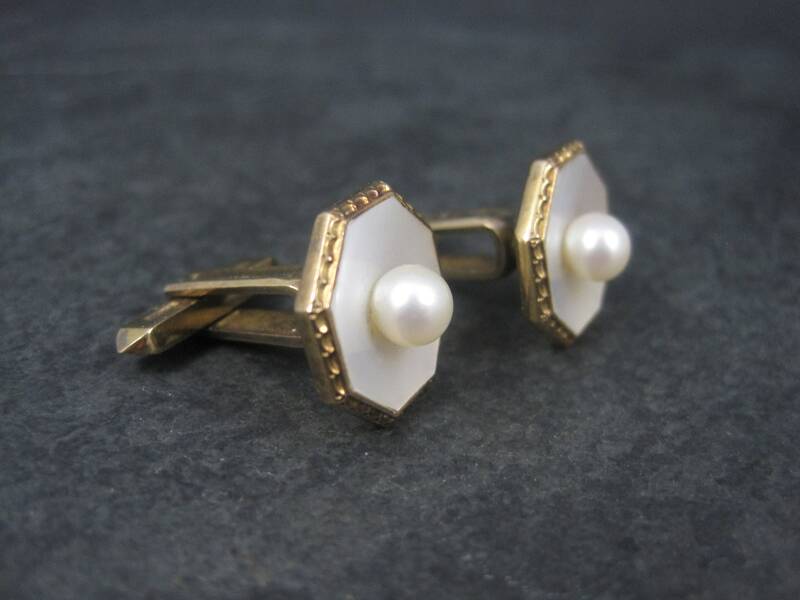 These beautiful vintage cufflinks are gold fill over silver. 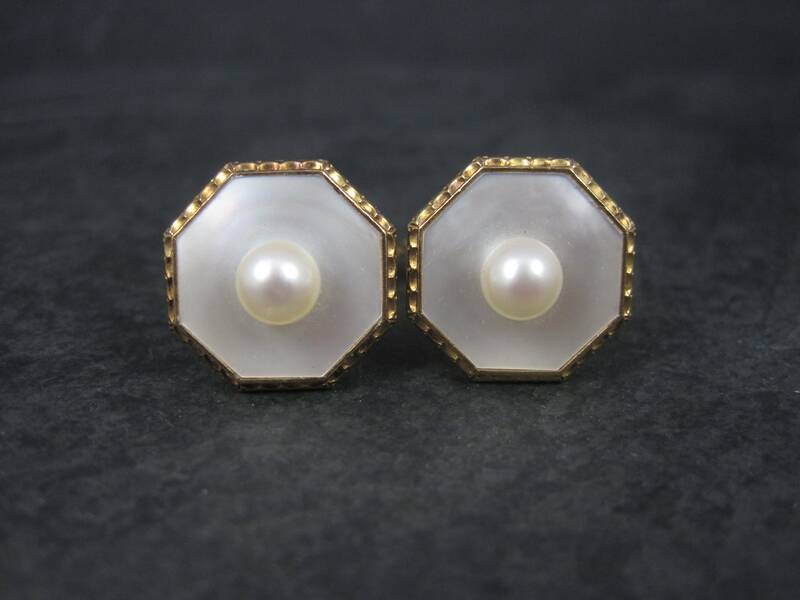 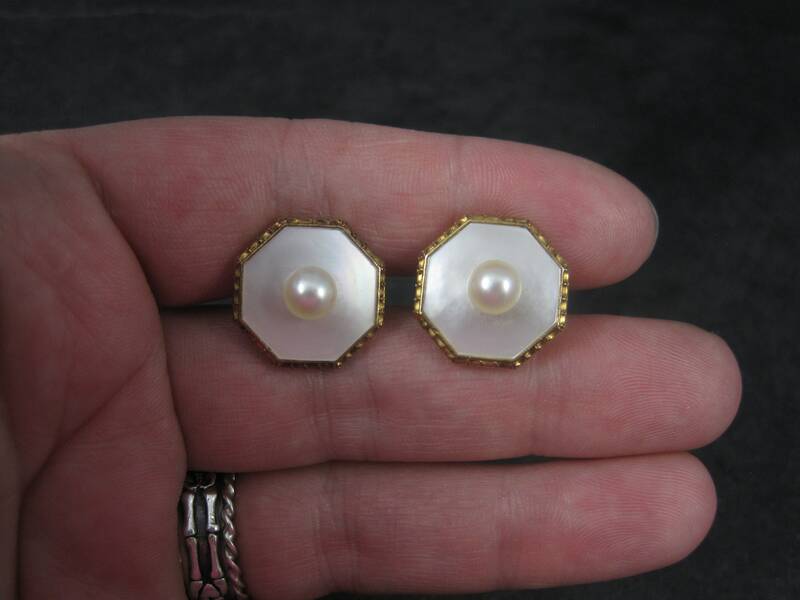 They feature mother of pearl and 6mm pearls. 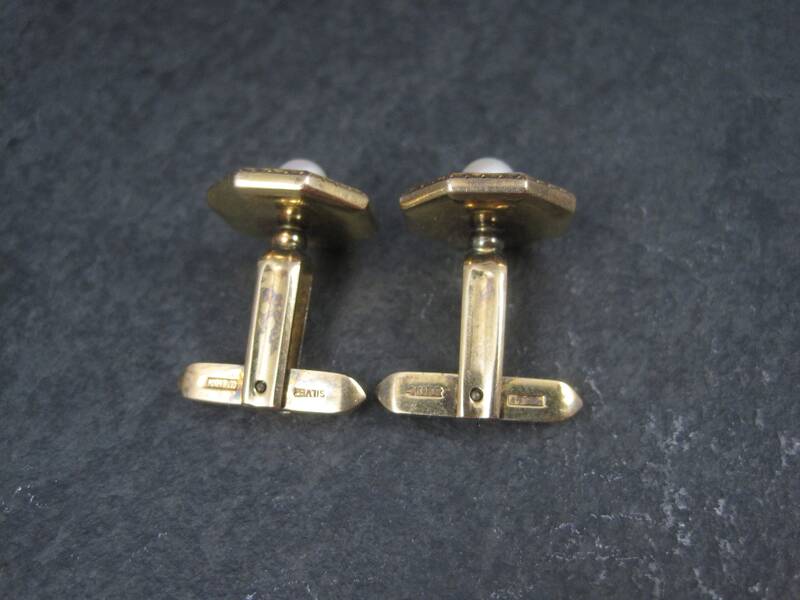 The face of these cufflinks measure 5/8 of an inch.